Anwyl raises more than £7k for Hope House children’s hospices | News by Wales Express News, People Before Profit! Award-winning Anwyl Homes has raised a staggering £7,364.23 for charity by taking part in the JLL Property Triathlon Relay North. The money will be donated to the housebuilder’s chosen charity; Hope House Children’s Hospices, which includes Hope House in Oswestry and Ty Gobaith in Conwy. Committed to raising as much money as possible for this very worthy cause, Anwyl entered three teams into the triathlon. Nine employees and family members, including housing managing director Mathew Anwyl, took on the challenging triathlon, which incorporated a 750m open water swim, an 18km cycle and a 5km run. 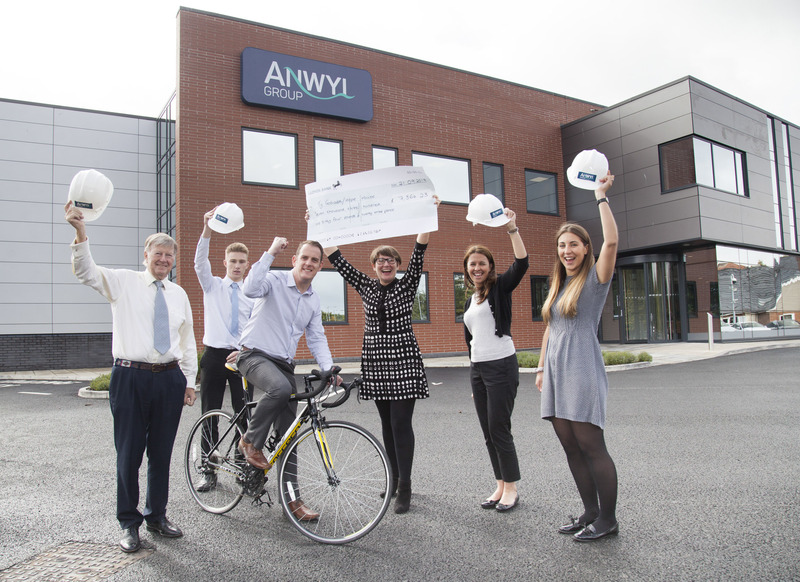 Not only did Anwyl Homes raise lots of money, they also scored highly in the triathlon. A total of 388 teams participated, with one of Anwyl’s teams coming 11th overall. Eluned Yaxley, from Hope House Children’s Hospices, commented: “We are so grateful to Anwyl Homes for their generous donation and want to thank the nine individuals who took part in the triathlon for giving up so much of their time to train and compete in the event itself. “Sadly, every week, three local families face their biggest fear and their child dies. We cannot stop children dying but we can stop families suffering on their own. When they are facing the most devastating loss of their lives we must be there. We must reach every child, mum, dad, sister and brother and to do this we need to raise more money. The money raised by Anwyl will enable us to be there. Graham Anwyl added: “For many years we have raised money for Hope House and will continue do so, supporting our local children’s hospices. The triathlon was hugely popular with both family members and employees and I am proud that as a company we were able to enter three teams, and perform well. Established for more than 85 years, Anwyl Group has three divisions; Anwyl Homes, Anwyl Construction and Anwyl Land. Based in North Wales, and operating across Wales and the North West of England, the family-run business is renowned for its thoughtful approach, bringing care and integrity to all aspects of every project in order to exceed expectations and ensure complete satisfaction for customers.